Google says augmented reality will change some of the problems of shopping for clothing online. 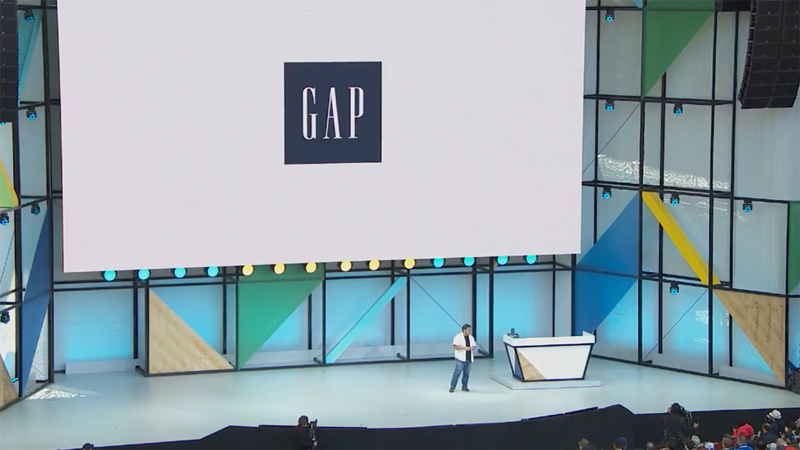 An AR app from GAP lets you see yourself in clothing before you buy anything. This might cut down on one of the biggest problems in online retailing—returns. If buyers know what a garment will look like on their body they might make better choices and avoid buyer’s remorse. Google’s Tango technology captures hundreds of location points in the environment seen through the lens of a phone camera. That allows for superimposing 3D images (like clothing) on top of that environment. In another use case, Google showed how Tango can capture a room, then put images of furniture and other home accessories in the space to see how they look. And this is enabled in the web browser. Google yesterday talked about another use case where the Tango tech mapped virtually everything inside a Lowe’s hardware store, allowing shoppers to find, within a few feet, the locations of specific products.